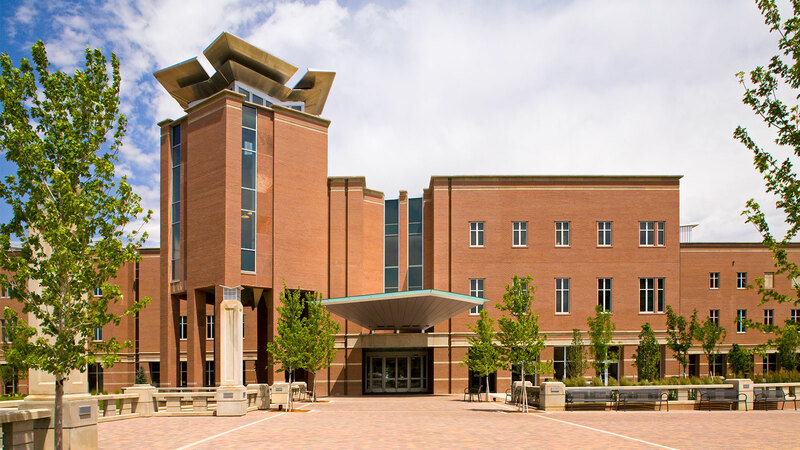 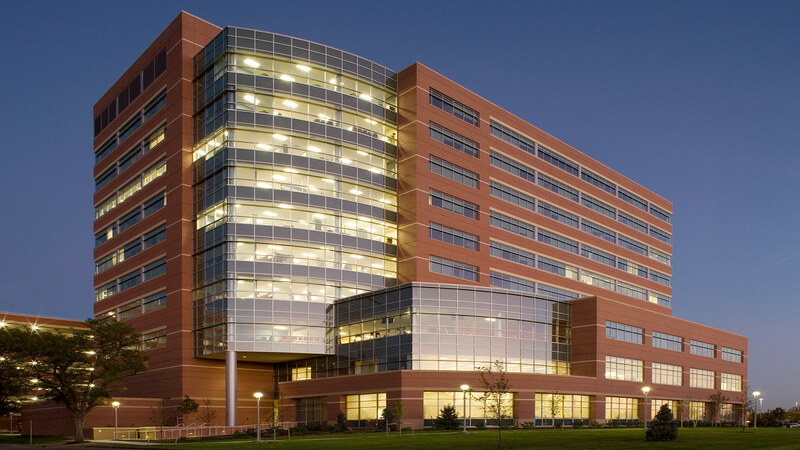 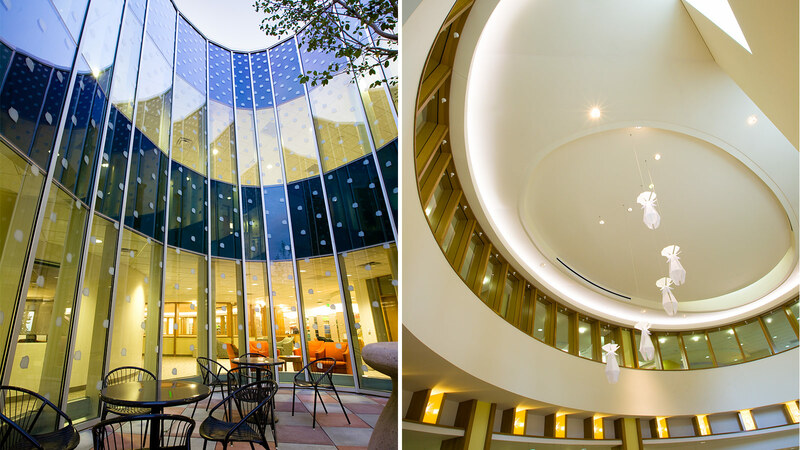 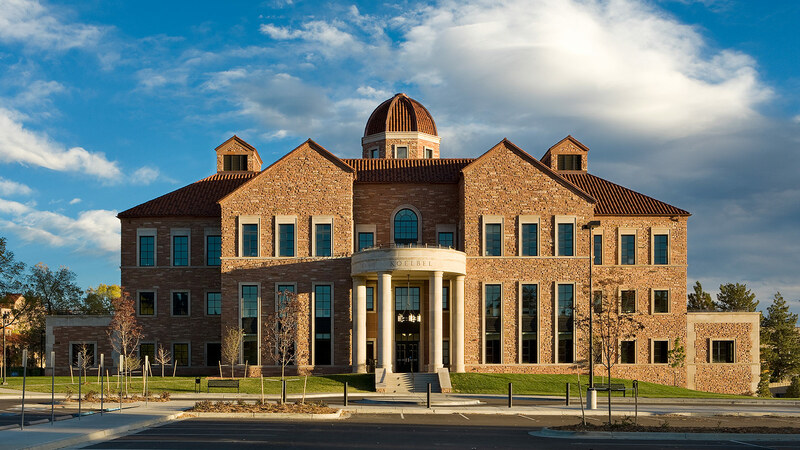 This $24.8 million library serves as a state-of-the-art medical research facility for CU students and faculty, as well as patients and medical professionals throughout the Rocky Mountain region. 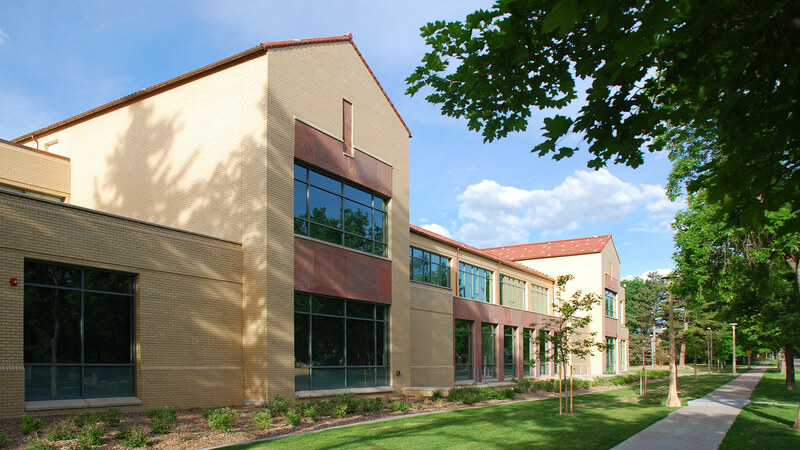 The 116,000 square-foot facility houses a large medical science collection and includes historic and rare books. 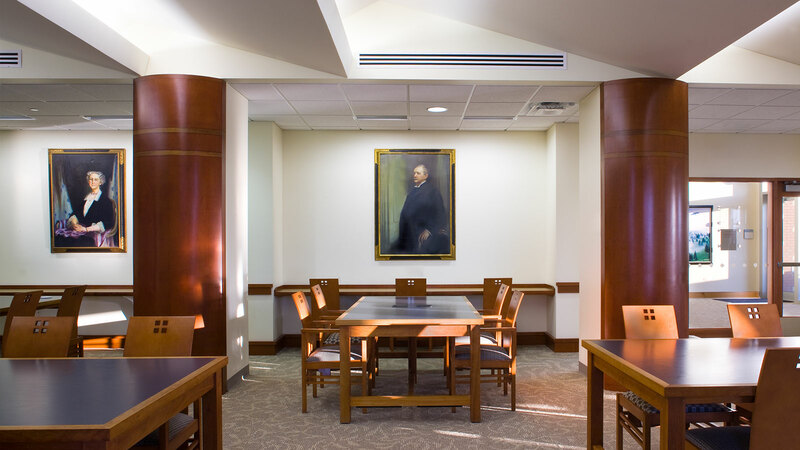 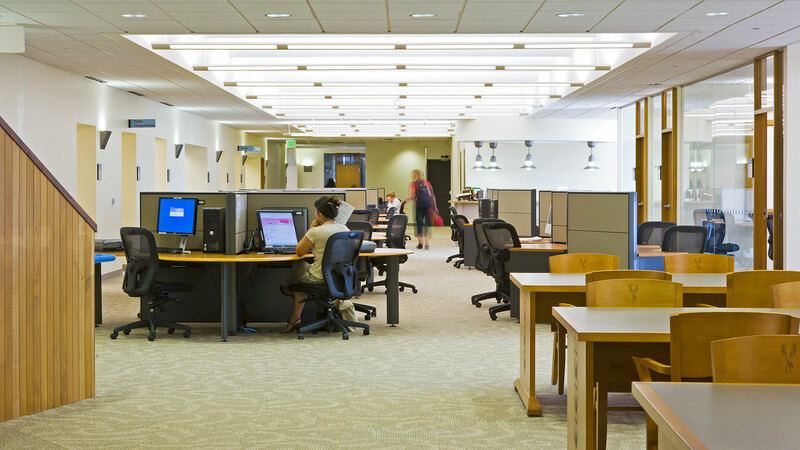 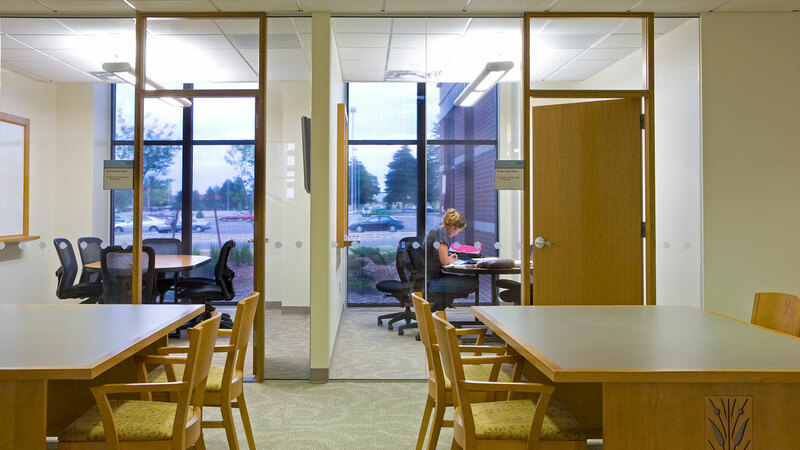 The library provides a variety of spaces for learning and study, including multi-media and computer access stations as well as monographs and journal stacks. 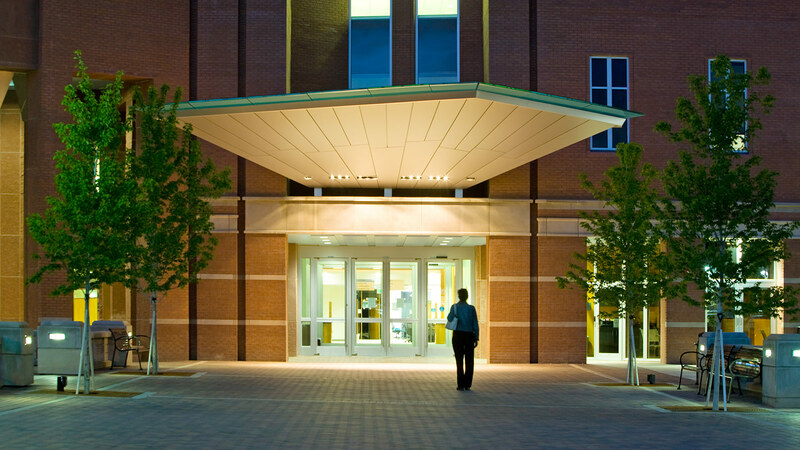 The linear floor plan includes a grand monumental stair that extends from the main lobby to an exhibit gallery linked at all three levels. 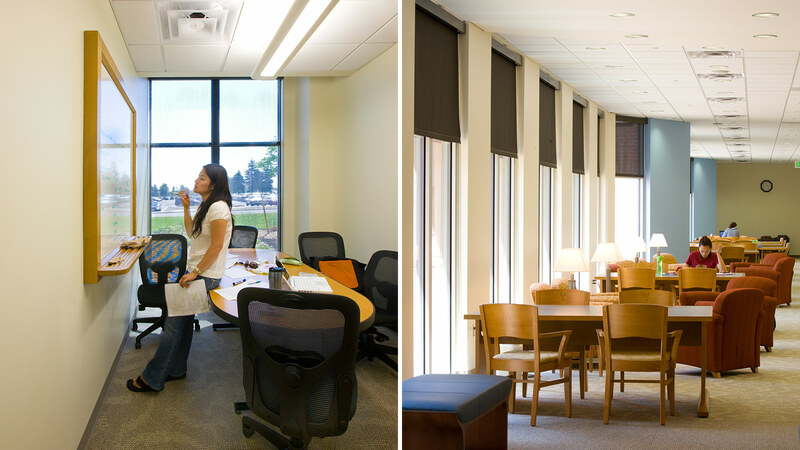 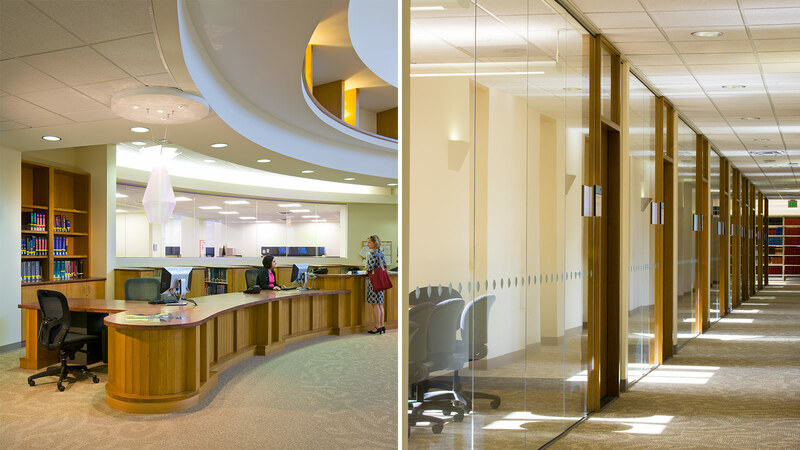 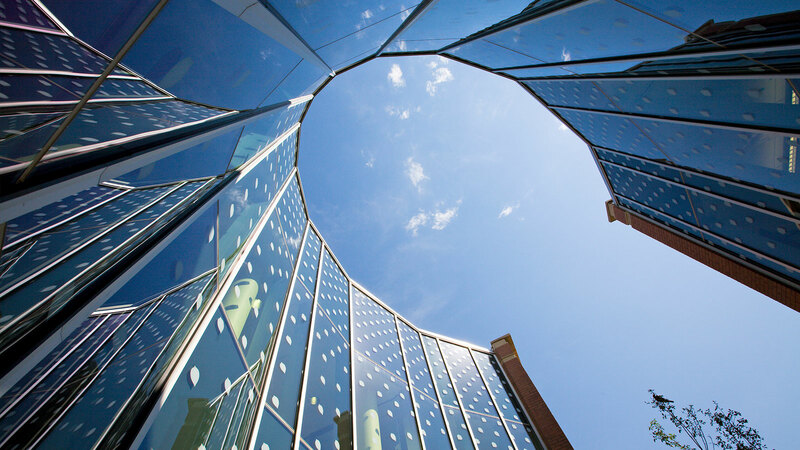 The building plan makes the most of natural daylight opportunities in strategic spaces. 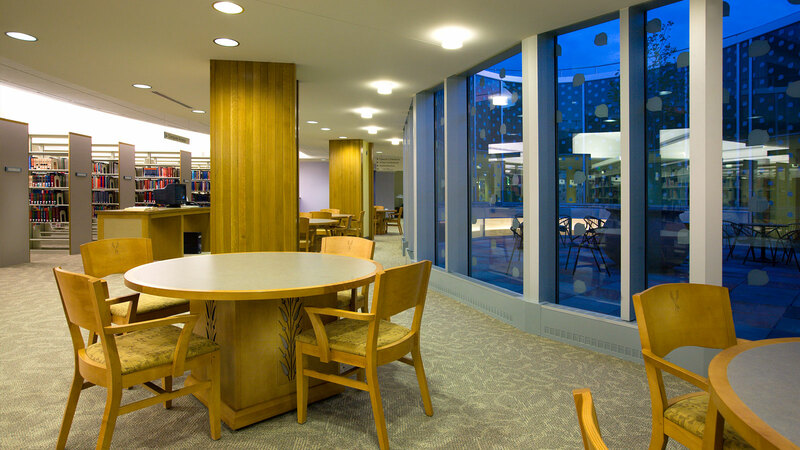 A café positions the library as a social hub on campus and is accessible from the library’s covered entry. 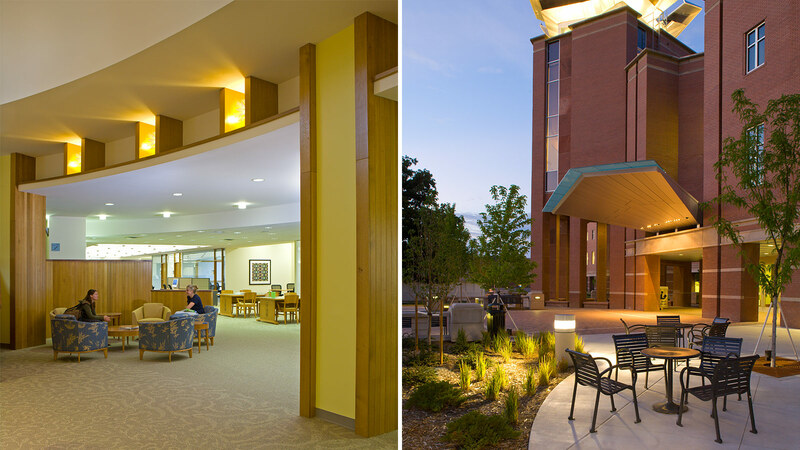 The project was designed in association with Centerbrook Architects. 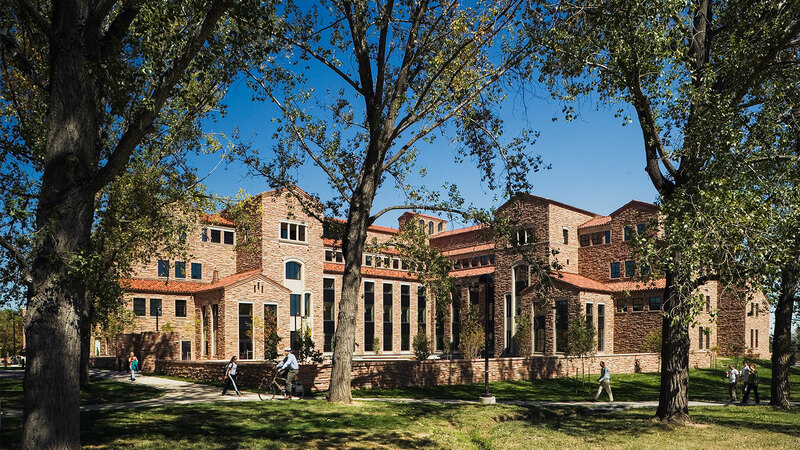 The building positioning relative to the landmark Red Cross and original Army hospital provides an initial framework for the development of a central quadrangle and campus entry point. 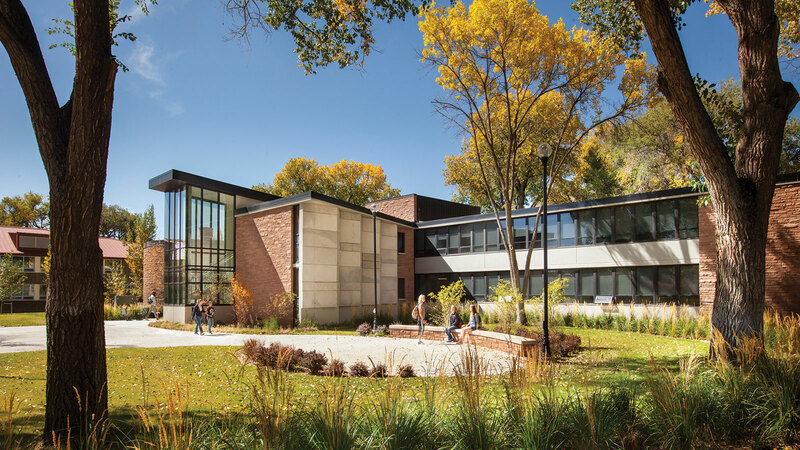 The exterior makes use of the established campus palette of brick, limestone, and sandstone. 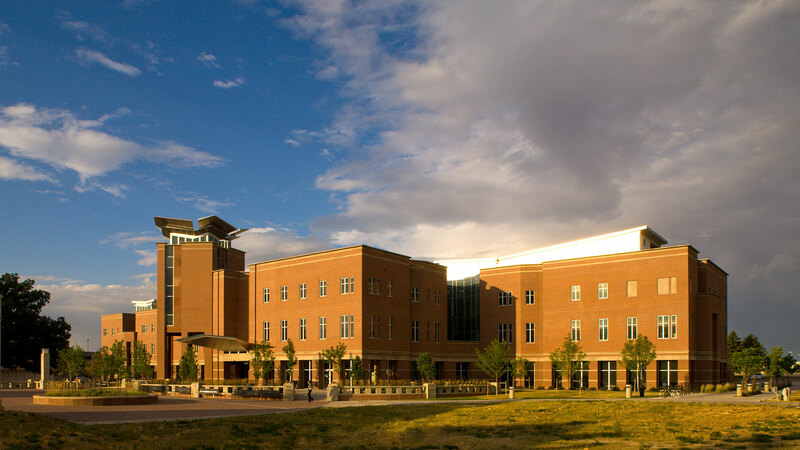 A tower, and other signature elements lend unique architectural character and make the building readily identifiable.